3 Clinical evidence of effectiveness of Ashwagandha as a remedy for thyroid problems. If you are among the millions of people across the world who suffer from thyroid disorders, a medicinal herb called Ashwagandha, native in Asia, Mediterranean, and parts of Africa, could be just what you need. Ashwagandha is popular in Ayurveda medicine, and Indians have used it for more than 3,000 years to treat a wide range of healthy disorders. 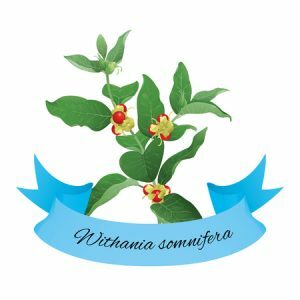 Its scientific name is Withania somnifera Dunal, and it belongs to a class of herbs called rasayana, praised for their revitalizing effects on health. 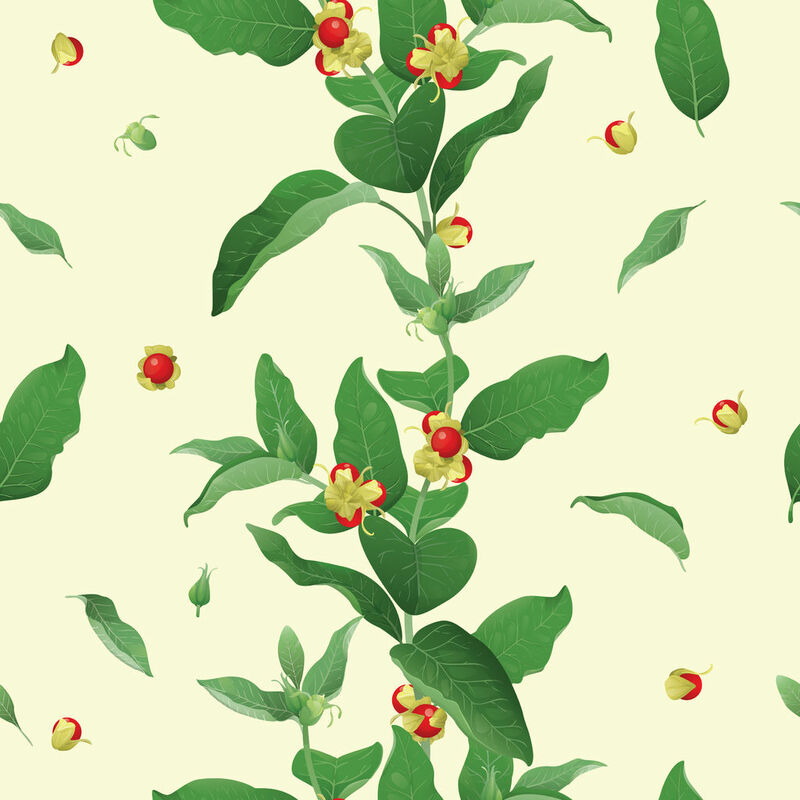 Ashwagandha is also popular as Indian ginseng, or winter cherry. The active chemicals in Ashwagandha are identical to those found in ginseng, but scientific studies have proven its superiority as a stress-reliever compared to its Asian cousin. Ayurveda doctors have for a long-time prescribed Ashwagandha to relieve exhaustion caused by both mental and physical strain, and scientists have recently confirmed its effectiveness. In a double blind study, researchers found that Indian Ginseng was effective in preventing vitamin C deficiency, stress-related ulcers, and strengthening ones’ stress endurance and energy levels (1). However, Ashwagandha is now more popular as a treatment for thyroid disorders than as a stress reliever and/or energy booster. Before exploring how Ashwagandha exactly helps the thyroid, it is important to explain the basics. Everyone has a thyroid gland, the butterfly shaped gland located in the front part of the neck. The thyroid gland is part of the larger endocrine system responsible for production of hormones needed to regulate body functions and organs. Raising the BMR (basal metabolic rate) which refers to the rate of energy used when one is relaxed rest. In synergy with the growth hormone, regulating maturation of nerves and long bone growth. Boosting the body’s responsiveness to stress reducing hormones. Helping in proper formation and differentiation of cells in the body. Controlling metabolism of carbohydrates, fat, protein, and controlling how the human cells utilize energy. Many factors, both disease-related and regular, influence production of thyroid hormone. Thyroid disorders can be categorized into two: hyperthyroidism (the thyroid gland overproduces T3 and T4) and hypothyroidism (the thyroid produces insufficient amount of T3 and T4). Symptoms of hyperthyroidism include muscle weakness, irritability, fast heartbeat, irritability, enlargement of thyroid gland, weight loss, low heat tolerance, and diarrhea. Symptoms of hypothyroidism include constipation, tiredness, weight gain, poor ability to tolerate low temperatures, and depression. Scientific studies have shown that malfunction of hypothalamic-pituitary-thyroid neuroendocrine axis causes bipolar and major depressive disorders. In addition, symptoms such as tiredness, fatigue, weight gain, depression, memory loss and concentration impairments are common to both bipolar and unipolar disorders and hypothyroidism (2). From lab studies with mice, scientists at D.A University, India, have found that Ashwagandha roots have the capacity to stimulate thyroid hormones. More specifically, the findings suggest that it boosts serum concentrations of thyroid hormone, making it an effective remedy for hypothyroidism. The function of the thyroid gland is regulated by two formations of the brain: the hypothalamus and the pituitary gland. The hypothalamus collects input from body systems and evaluates if the thyroid gland should decrease or increase section of T4 and/or T3. If addition T4 and/or T3 is required, or if one’s rate of metabolism is slow, the thyroid is directed to produce thyrotropin releasing hormone. The thyrotropin releasing hormone is transported throughout the body and once it reaches the pituitary gland, it stimulates it to secrete thyroid stimulating hormone. It’s at this point that Ashwagandha comes in as a remedy for thyroid malfunction. It directs thyroid stimulating (THS) hormone to travel to the pituitary. TSH triggers the thyroid gland to produce sufficient amounts of T4 and T3. T4 and T3 upregulate metabolism and cellular utilization of energy. Once T3 has accumulated to optimal levels, the hypothalamus notes it and directs pituitary gland to stop production of TSH. Ashwagandha has been proven to stimulate production of more T4 hormone – which explains why it is such a popular natural remedy for hypothyroidism. A 2014 placebo-controlled study to monitor thyroid indices for T4, T3 and TSH of 60 patients taking Ashwagandha for bipolar disorder found that patient taking Ashwagandha reported increased production of T4 and stable levels of TSH. The scientists concluded that people suffering from hypothyroidism can benefit from taking Ashwagandha, mainly because of its anti-inflammatory, T4-elevating, antidepressant, antioxidants, and nerve-protecting properties (3). Note that excess amount of T4 in the body can cause oxidative stress. When the human body is experiencing oxidative stress, its ability to fight free radicals is impaired. Free radicals oxidize lipid membranes through a process called lipid peroxidation, damaging body cells. However, besides stimulating increased production of T4, Ashwagandha has the unique ability (antioxidants) that enable it to scavenge free radicals, reducing the impact or preventing both oxidative stress and lipid peroxidation (2). Simply put, even as it stimulates thyroid to produce more T4, Ashwagandha keeps risks associated with excess T4 in the body under check. In any case, as T4 is produced and converted into the active T3, the risk associated with oxidative stress in patient suffering from hypothyroidism is very low. 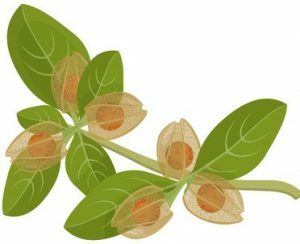 Some studies have suggested that Ashwagandha has a sort of different effect with those with hyperthyroidism. By stimulating selective increase of T4 levels in the body and simultaneously lowering oxidative stress, Indian ginseng can slow production of T3. Note that T3 is the key culprit for problems associated with hyperthyroidism. However, when being taken to control hyperthyroidism, the amount of Ashwagandha needs to be kept under tight control. A low dosage, as often recommended by Ayurveda doctors, may be sufficient to trigger one’s natural thyroid hormone control mechanism (which regulates T4 levels by lowering TSH levels) to swing back to action. Is Ashwagandha for Thyroid More Effective When Taken Combined with Other Herbs? Most Ayurveda doctors often administer herbs in combination of several plant extracts, mainly to boost effectiveness and to downplay possible side effects of specific plant extracts. For example, Ashwagandha is often administered in combination with other two extracts – bauhinia bark, and guggulu gum – to boost liver health, keep lipid peroxidation under control, and to control thyroid function. Ayurvedic doctors often use Ashwagandha leaf and root powder instead of concentrated extracts. A teaspoon (mixed with honey, milk, or boiled in water), twice a day is the recommended dosage, especially when Ashwagandha is to be taken for the long-run. A teaspoon of Ashwagandha leaf or root extracts reduces to about 300mg of concentrated extract. Based on this Ayurvedic clue, earlier scientific studies on Ashwagandha have suggested that it is effective at dosage of 600-1,200 mg per day. The studies have found the dosage to be both safe and effective in rectifying thyroid malfunction. In capsule form, this equates to about 1-2 capsules, two times daily. However, Ashwagandha has been found to be effective even at low doses. The lowest effective dose of Ashwagandha leaf or root extract is 50-100 milligrams. On the other end, even doses as high as 6,000 milligrams of extract daily have shown to be safe. Consult your doctor on the appropriate dosage for your case. Most thyroid supplements include Ashwagandha. They often contain other helpful herbs as well. Clinical evidence of effectiveness of Ashwagandha as a remedy for thyroid problems. In a clinical study of mice, a dosage of 1.4 milligrams/kg of Ashwagandha was used daily for 20 days. The rats showed increases in T4 levels, but no significant increase in T3 were noted. In a different scientific analysis, the researchers used the same variables as above; the only variation being that the later study used male mice as the test subject. The analysis showed that both T4 and T3 levels increased. Also, a 12 percent increase in liver antioxidant enzymes (hepatic antioxidant enzymes) was noted as well as 34 percent reduction of lipid peroxidation. In addition, the researchers noted that T4 increased by about 60%, and no material change in T3 was seen. However, when combined with both guggulusterone gum and bauhinia bark, changes in T3 levels were recorded. Lowering hypertension or blood pressure. Lowering symptoms such as irritability, stress, edginess and anxiety. Anti-inflammatory effects which delay or stop the inflammatory process. Taming the headache and tension. Enhancing a feeling of relaxation, which enhances the quality of sleep. Stimulating proper function of thyroid glands. Reduction of stress and its symptoms. Lowering bad cholesterol levels in one’s body. Nourishment and protection of one’s liver. Increasing energy and endurance level. Increase in production of red blood cells. Can Ashwagandha be used in conjunction with Nature throid? I have been diagnosed with Hashimoto hypothyroid and still have symptoms even though my tsh is normal. In my opinion, likely not, but I would ask Nature Thyroid to be sure before combining supplements and drugs. I was diagnosed years ago as hypothyroid with all of the usual symptoms and am currently on 112 mcg synthroid and 5 mcg (4x day) cytomel. I’m interested in trying the Ashwagandha herb for the numerous health benefits associated with it…that I could really use help with to have a better quality of life. My endocrinologist isn’t at all interested in hearing about herbs and alternative health choices, so discussing this with him isn’t a option. Do you think I could safely take the extract form of Ashwagandha and see if it is helpful to me or would that be unsafe because I’m already on synthroid and cytomel? I would actually be willing to wean off those medicines and give this herb a try if it could help me in many of the ways it has been reported to help others. I appreciate your input! I highly doubt the answer I will give you in this reply will satisfy your questions and inquires. I’ve talked with people who decided to try Ashwagandha by itself or in combination with other supplements. They said it changed their lives. They were no longer brought down by their thyroid. No more “blah” feelings or foggy moments. They stopped taking prescription medicines and, for lack of better words I guess, felt a lot younger (even though they most certainly did not look it!) It is possible that you would be part of this group. I’ve also talked with people for whom Ashwagandha did little or nothing, albeit a smaller amount of people. It didn’t change their lives and it didn’t boost their energy. They wore their faces throughout their body. They stopped taking Ashwagandha and embarked on yet another search for a solution to their problems. It is possible that you would be part of this group as well. It is also possible that you would be somewhere in the middle, like most are. Unfortunately, similar to medicines, Ashwagandha seems to have more profound effects on some people than others. Though, on average it does seem to have a positive effect on people. So, it depends. As I said earlier, this is not probably the answer you want to hear, if you were looking for a binary – yes, no – reply. I am hesitant to give you direction in one way or another. You are on a potent combination of prescription thyroid medications. In my opinion, no one should tell you – especially someone over the internet who lacks any medical degrees whatsoever (me!) – what to specifically take or not to take. It is potentially worth exploring? I think so. I think everyone should try Ashwagandha and other herbs at some point in their lives to see how the benefits are for them. Should you get off your doctors prescribed medication? In my opinion, I think that would be a mistake. He most likely knows a lot more about you then I do, and choose those specific drugs for a reason. Can you combine Ashwagandha with other prescription drugs? I am not a doctor. With that being said, I have not read any reports that would indicate it is dangerous. But that will be for you to decide. Hopefully this reply helps a bit. Thank you for your well thought out detailed reply. I’m going to experiment with Ashwagandha and see if it will work for me. I hope that I’m one of the people that it really helps!! I am just hearing about and researching Ashwagandha. Wondering if you tried bit and if so, what was the outcome? 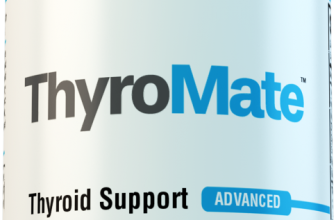 Thanks for helping us out, Your information helping us in a greater extent, Infact giving us a hope on thyroid remedy. Heard about Ashwagandha from many people over the internet, But not sure how to use, Some how i was searching for a detailed description & i got this link. Have gone thru your couple of replies on Ashwagandha & that has given me a good feel. I am residing in India having hypothyroid, taking THYRONORM 125mcg on daily basis since 13 months, I always had a thought of quitting tablets/Pills (more interested in finding natural remedy), I tried doing Halasan & Shoulder stand that shall help me out in taking these tablets, in addition taking wheat grass on daily basis. I find a change to certain extent. Requesting you please provide your valuable inputs. I’m glad this information and research helped you. Ashwagandha is becoming a lot more common with people who have thyroid imbalances since it is so easy to take and works fairly quickly. There is not really a process to take Ashwagandha. Similar to all supplements, all you have to do is find and purchase it and then consume the capsule, ideally with a meal. Ashwagandha is fairly popular so it should be available at most supplement stores. Most of the thyroid supplements we review here contains Ashwagandha as well. This link can help you find specific thyroid supplements with this herb. Many people take Ashwagandha by itself or with other nutrients, mineral, and vitamins combined in certain supplements. Thyroid supplements, as we mentioned earlier, usually have good combinations for Ashwagandha and most of them are organic as well. You should notice results fairly quickly. Though, for some it takes at least 2 weeks. Be sure to consistently take it everyday. I am 70 years old with normal built-up. I was diagnosed Hypothyroid about 6 years back. My maximum TSH was 20. For some time I tried Homoeopathic Medicine with the help of a Homoeopathic Medical Practitioner. The TSH came down to 6 but never became normal. It used to increase whenever i felt tensed.I left homoeopathic treatment and started taking Eltroxin 100 under the guidance of the Doctor. Now my TSH is 3.2. I am Hypertensive for about 25 years for which I am taking Telma 40. I have felt my TSH increases only when I am tensed. I also feel Anxiety now. I want to give a try to Ashwagandha. My question is Can I take Ashwagandha along with Eltroxin 100 and Telma 40. I have hypothyroidism and I am having thyronorm daily 50c , my age is 17 ,can I consume ashwagandha along with thyronorm , and also I need a gain in height . Hope you reply and suggest me good . It shouldn’t be a problem, but checking with your doctor first is always a good idea. I’m not sure if it would help you gain height though. I have not seen any studies to suggest that. Can eltroxin be taken in the morning empty stomach and ashwa gandha in the evening . Do they interfere with each other ? Best to check with your doctor. I do know some people who take prescription drugs and ashwagandha spaced out, but it is always a good idea to ask your doctor first. I’m currently on levothyroxin 1.0 is it safe for me to take Ashwagandha with this medicine? I take 1 gr (60mg) Naturethyroid and my doctor actually recommended adding ashwagandha for stress so I’m guessing it is safe to use together but everyone is different. I noticed an improvement in mood and physically feel better when using it. Not sure yet if it has a positive effect on high cholesterol but will post again after labs if it does. Thanks for letting us know! Hopefully, it keeps working well. Based on previous experiences, I believe it will. I would ask your doctor. It depends on his medications, and while I have not heard of any thyroid medications that interfere with ashwagandha, it is always a good idea to check and be safe. What will be the recommended recommended daily dosage of ashwagandha in Hashimoto’s disease? Is Ashwagandha safe if I had a thyroidectomy 15 years ago? I didn’t know it has effects in the thyroid gland. I’d been using it as natural antidepressant for about a month and I feel wonderful, better than ever, but now I’m worried it could stimulate thyroid cells that Could be left after surgery. Hi Mary, did you get anywhere on this? I had mine removed last week. and on LThyrox, and would love to take this but do not want any issues. thanks!! 4 days ago, my blood test results were out and my thyroid level came out to be 9.7. I had visited an endocrinologist who prescribed thryoxine(50 mg). I haven’t started taking the medication yet as I more keen on getting it cured using natural supplements like ashwagandha and lifestyle changes/exercise. However, I am also hesitant whether this is a good idea. What is your opinion/experience? Appreciate any information. Hello. I was diagnosed with hypothyroidism about a year ago. I was immediately put on levothyroxine 100 micrograms. I have just received the Ashwagandha 570 mg tablets I ordered and would love to ultimately replace levothyroxine with Ashwagandha. I am also hopeful the Ashwagandha will cure the hypothyroidism for good. I have a sympathetic doctor but I doubt he is even aware of Ashwagandha so I will print this article for him. Can you please advise me how I should wean myself off the levothyroxine when commencing the Ashwagandha treatment. I suspect continued use of levothyroxine will only make my condition worse in the long term. I would not recommend stopping your medication. Try Ashwagandha and see how it helps you. Maybe after that you can discuss your medication with your doctor and see if you need it anymore. I also take Levothyroxin 100 mg. I will try ashwagandha, see how I feel. I will not take them at the same time. Ashwagandha is generally safe to take with thyroid medication, especially if you space them out. Of course, it is always a good idea to check with your doctor as they know your conditions best. 450mg is a decent amount already. I would start with one of that for a someone who has not taken Ashwagandha yet. Hi, I have Ashwagandha in tincture form and am confused on how many drops i should take any ideas, thank you. Hi! Can I take ashwaghanda, if I already don’t have a thyroid gland and I take 75 mg L-Tyroxin every day? I had a thyroidectomy a few years ago and I’m on Levothyroxine. I recently started taking Ashwaganda for anxiety and now my TSH level is near hyperthyroid levels. I’ve been shaky and jittery, having palpitations. Was wondering if it’s the ashwaganda or if I can just lower my Levothyroxine dose. Thanks for letting us know! I’m glad Ashwagandha is working great for you, and I know it is for a lot of people as well. Thanks for all your answers. I’m Sarvan taking Eltroxin 75mg and 50mg alternate days on empty stomach, I take Himalaya Ashwagandha tablets along with the thyroid medication, I feel better, earlier taking only Eltroxin makes me dizziness, tiredness and vomiting sensation. When I started taking Ashwagandha after a meal with at least one hour break, I feel better. 250mg Ashwagandha one in the morning and one before going to bed. Now there is no dizziness. Thanks for letting us know about your experience. We appreciate it!